At 16, he was already known as the ‘golden hippy’, a hard-drinking, cocaine-snorting, rebel who resented his family’s vast oil wealth. Then in July 1973, disaster struck. 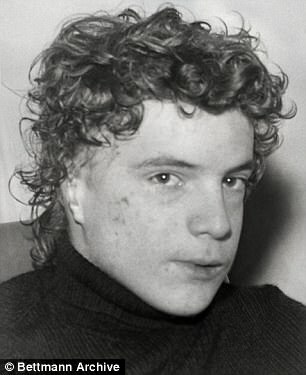 John Paul Getty III was snatched from the streets of Rome by the Calabrian mafia, the ’Ndrangheta. 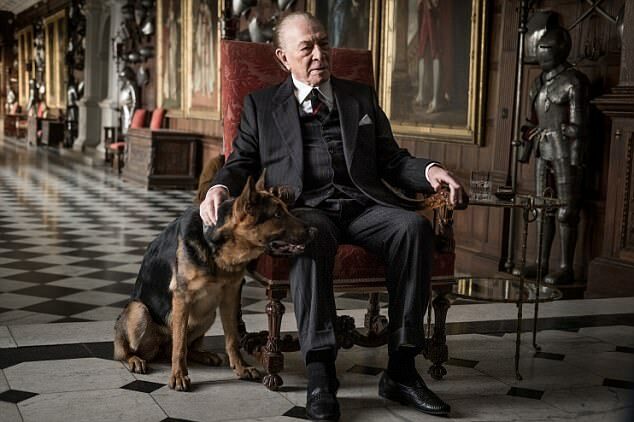 Now, director Ridley Scott’s new film All The Money In The World has captured the extraordinary drama as, month after month, Getty’s tightfisted grandfather refused to pay the £2.1 million ransom... until the richest man in the world was sent a crudely severed ear. Here, in his own harrowing words, is John Paul’s story, as told to author Charles Fox for his book, Kidnapped. John Paul starts his account with a moment that shocked the world...I tried to be tough. I imagined the pain and tried to think of a way to make it easier. I think three days passed before they said, ‘We’re going to do it tonight,’ but they didn’t. The following day, they washed and disinfected me. Piccolo, one of my captors, promised: ‘Three days after the ear is cut off, we swear to release you.’ They told me it would happen at 7pm. I waited. Nothing happened. They told me to blindfold myself and sit on the chopping block. I was petrified. There were about seven people in the room. 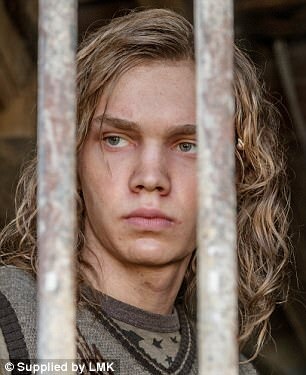 I heard the clink of the surgical things. Piccolo said: ‘Prepare the cotton and that red stuff’ – iodine.’ I said: ‘Can I have a handkerchief?’ I rolled it up and put it in my mouth like a gag. He rested the razor on my ear. There was a sound like ripping paper. It was done in two strokes. The noise was the worst thing. There’s a limit to pain. If you prepare yourself, you can withstand it. 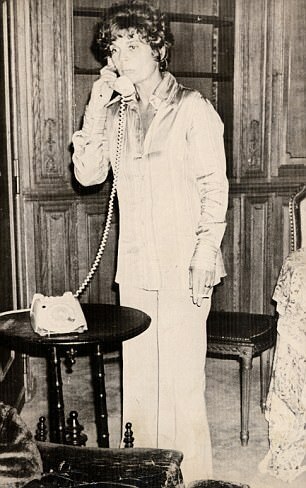 It was 3am in Rome on July 10, 1973. They were starting to close the cafes as I walked through the streets to Piazza Navona wearing my disco clothes – tight jeans, a T-shirt with glitter and boots with a broken heel. I bought a newspaper and some cigarettes and walked on. I was drunk and hot. My head was swimming and it was difficult to carry on. Sometimes I leaned out and touched the wall. All the time I was looking at the stone face of a boy on a white marble fountain under the light at the end of the street. He was staring back at me and I swear he smiled. As he did, I realised a car was stopping alongside me. These men were coming out of it. They grabbed me and wrestled me to the floor behind the front seats. The car took off.They drove for an hour in silence. Then the guy in front, the passenger, leaned over the seat and looked down at me. 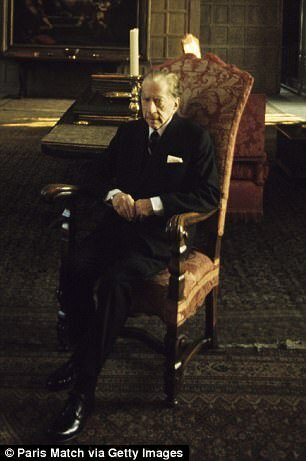 He asked, ‘Who are you?’ I said, ‘Paul Getty’ and instantly realised my mistake. I slept as we drove south for hours. I didn’t realise at all what was going on. I remember the drive and voices talking to each other. I would have never dreamed it was real. I thought: ‘It must be Arab guerrillas.’ I was sure it was political; that they wanted the money. Then I thought it might be communists. Or maybe fascists. I didn’t know who it was. Then I realised these men had nothing and wanted everything. They had nothing to do but kidnap people.I lay there for an interminable amount of time until the next night came when they moved me again, still blindfolded. They walked one on either side of me on rough ground. They made me march in circles and then they’d get me in the car and drive me a half mile and then I’d get out again and I’d walk again in circles. We walked all night. I don’t think they knew where they wanted to take me. They had caught me and they weren’t ready and were getting things together. We walked again that night, in and out of the car, just like the previous night. I went to sleep again at four in the morning. The next night, they took me through pouring rain to a hut. One of them dried me off, another gave me some clothes and another made a fire on the dirt floor. They made some pasta. Since Monday, I have been in the hands of the kidnappers. I beg you, do not put my life in danger. Please stay away from the police. Do not think that this is a game that I have set up. Try to put yourself in contact with my kidnappers. P.S. If you delay, my kidnappers will cut off a finger and send it to you. Do not involve the police because otherwise they will kill me. I love you. A few days earlier, I’d had a fight with my mother. I came home stoned and told her: ‘I am addicted to coke.’ She began to cry. I’d been hanging out with gangsters in Rome – people who never slept. Coke, coke, coke. We had machine guns. We were starting to get into big drug deals. In some ways it was even romantic. Then two guys who said they worked for Air France walked in. I always thought our gang leader was a big guy, but when these guys came in, he bowed down. These Air France guys said to me: ‘Why don’t we kidnap you?’ I was ready to do it out of economic necessity – when you get into coke you’ll do anything to have it. But after a while I changed my mind and began to avoid the gangsters –but the idea was in the air. If you don’t do as they say, dear Mother, it will mean that you want me dead. If one of them is taken, the others have orders to kill me. Take the autostrada to Palermo... the money should be in sacks... If you don’t follow these instructions, it will mean my life. My family did not answer, which caused some consternation. Gradually, everyone got paranoid. They started being mean to me. They were scared of one another. I got the feeling the chief was around. It was fine to be with one alone, but as soon as it was two, they’d show off who could be the meanest: ‘The chief wanted to blow your brains out and throw you in the water.’ After that, I really didn’t care. I tried to irritate them, turn up the radio when they were talking, that sort of thing. I have been with my kidnappers a month. The waiting is terrible. Will my family pay or will I be killed? See they don’t kill me. I am so young, not even 17. What they are asking for now is £5 million. You have 20 days. PS: After that it will be difficult for you to see me alive. We moved down the hill to a house that looked, inside, like a castle. The floor was dirt. There was a window with shutters, a bed with a little Madonna picture over it and a chopping block specked with blood. They said: ‘We have to get some medical things together.’ They kept delaying: ‘Tomorrow, tomorrow... We can wait more if you want,’ but eventually I said: ‘Let’s do it.’ I thought it was the only way to get out of there. After they cut my ear off, there was no pain until they put alcohol on the wound – oh Jesus. Then they bandaged me and gave me anti-tetanus and penicillin shots. In about half an hour, I began to bleed. I was scared. After about five hours of continuous bleeding, I had to lie down, I couldn’t move. Then they started to get scared. They gave me about six shots an hour of penicillin – I found out later I’m allergic to it. So much blood and gooeyness, it was in my hair, all over my body, down my back. If I touched my ear the bleeding started again. The bandage, my body, the bed, everything was completely red. There were rats eating the blood and on my bandages. The bleeding stopped after about a day and a half when they gave me a coagulant shot. By the third day, I was sure I was going to die. However, on that day I started to eat. For what seemed like an age, nothing happened (the letter containing the ear and a threat that other body parts would follow took 28 days to arrive because of an Italian postal strike). Finally, on December 10, they came and said: ‘We spoke to them. We’ve come to an agreement.’ My family had agreed to pay 1.6 billion lire in small, used notes. It was about 7pm on December 14 and they had dressed me up in clean shirt and trousers – for Italians, you have to be presentable when you go home. It was snowing. There was a cliff in front of us and they made me walk for three hours wearing a ski mask so I couldn’t see anything. Five or six of them came to say goodbye. They put me in a car and drove me for around for seven hours. The hills were full of police, but they were more organised: the car would go for a mile, then it would stop and we would meet another car. Then they would talk and that car checks ahead with us following. I heard their car start, the shifting of gears as it moved away. It was a strange feeling, like a huge weight taken off... I took the mask off. It was over. John Paul Getty III never truly recovered from his ordeal. Addicted to heroin and cocaine, he took an overdose in 1981 which left him paralysed, almost blind and confined to a wheelchair. He died at his Buckinghamshire home in 2011, aged 54.